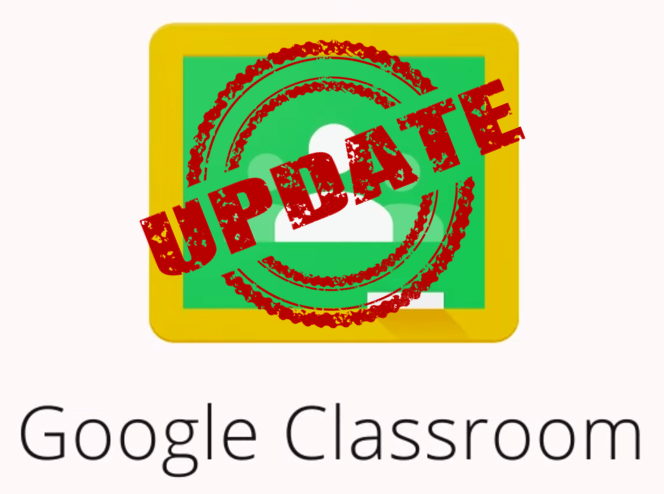 This summer BIG changes were announced to Google Classroom. Here are a few of NR21's favorite updates as well as links to experts demonstrating these new features. NEW Classroom tab: We asked and Google heard us. While topics was a useful way to sort assignments and posts, this option was not as user-friendly as it could be. With the creation of the Classroom tab, teachers can create modules to sort assignments into. Users also have the ability to move these assignments up or down the stream. While not perfect, this is an improvement. NEW Grading Features: If you are like us, grading written responses and essays in Classroom was a bit of a chore. Each document had to be opened within Classroom to be annotated, but there was no location to input scoring. Classroom now allows users to shift between assignments without closing each document. Teachers can create a bank of responses to include as annotations and quickly insert using the # symbol. Ability to Create Forms within Classroom - This is an important change COMING SOON. Forms have been a resource to educators for a number of years as a means of formative and summative assessment. There will no longer a need to venture outside Classroom. Simply create right within Classroom. Keep an eye out for this change. Warning: These new Google Classroom features will only appear in NEW Classrooms created after August 7. Existing Classrooms will retain the older features. At least for now. Be sure to make some time to explore the new features of this amazing tool! Or, take a virtual tour of the NEW Google Classroom.